Go Pure Grenada movement needs your support. Styrofoam articles are bad for your health, bad for the environment and a vast majority ends up on our coastline and in the ocean. 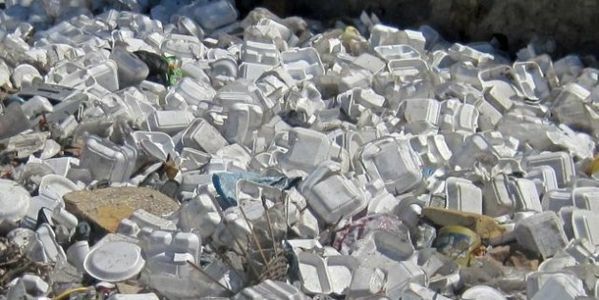 The GHTA (Grenada Hotel & Tourism Association) and the GSWMA (Grenada Solid Waste Mangament Authority) together call for a ban on imports of all styrofoam articles. Styrofoam is designed for convenient use for hours or even minutes; and yet, because it is not biodegradable, we will live with the remains in our environment for hundreds if not thousands of years. On a small island state like Grenada, this is not acceptable. Additionally, because styrofoam is lightweight it is easily blown or carried in water courses to the sea where it poisons marine life we depend on. Today, most styrofoam is made out of CFC-22 which is a greenhouse gas and destructive to the ozone layer . As a result, banning the use of Styrofoam, supports our Montreal protocol commitments. In addition, Styrene has been linked to severe health effects, such as chromosomal damage, cancer and pulmonary function among factory workers producing the product.